Lorin Maazel performed at the 1939 New York World's Fair when he was only 9. He conducted two major symphonies before he was 13 and went on to a successful career as an adult conductor. Edward MacDowell lived from 1860 until 1908. He was an American pianist and composer and was one of the first American composers to achieve any degree of international fame. He studied in Paris, eventually at the Conservatoire, before moving to study the piano with Carl Heymann at the Hoch Conservatory in Frankfurt, where he had composition lessons with Joachim Raff. There was encouragement from Liszt and further years spent in Europe until his return to the United States in 1888. There he succeeded in establishing himself as a teacher, pianist and composer, with appointment as the first Professor of Music at Columbia,a position he held until 1904. His last years were clouded by mental illness. Piano music by MacDowell is effective if not innovative. It includes two piano concertos, four sonatas, the Tragica, Eroica, Norse and Keltic, studies and a quantity of genre pieces. Guillaume de Machaut was born sometime around 1300 in Rheims(? ), France and died: April 13, 1377. Rheims, France He was a French poet and musician as well as a composer of monophonic and polyphonic music. He is also known as the leading representative of the Ars nova tradition. Machaut lived his life in the higher ranks of service, first as secretary to John of Luxembourg, King of Bohemia, and then as a canon (a church official) at the Cathedral of Rheims. Like many in the fourteenth century, Machaut's life and works reflect an equal measure of the sacred and secular. Most of his works were either secular (such as his many chansons) or a mix of sacred and ceremonial (including many of his motets and his hocket David, which was probably written for the coronation service of King Charles V in 1364). At the same time, he wrote what is probably the first full setting of the Mass Ordinary by a single composer (the Messe de Nostre Dame). He was a man of the cloth, having taken minor orders at an early age. Yet toward the end of his life he maintained a romantic/literary affair with a young woman named Perrone. Much of Machaut's polyphonic music reflects the interest that composers had in building complex structures based on the repetition and manipulation of borrowed melodies (a technique called isorhythm). In some of his works, these techniques are applied to all the voices. The harmonies found in Machaut's pieces are built around the fifth and the octave, the primary consonances of the period. His secular music carries on the musical and textual traditions of the troubadours and trouvères. Most are written in the fixed forms such as the virelei, rondeau and ballade. Sacred/ceremonial music, including Messe de Nostre Dame, 23 motets, hocket "David"
Gustav Mahler lived from 1860 until 1911. Like so many other musicians, Mahler started early, learning the piano at six and giving his first recital at the age of ten. In 1909, he became conductor of the New York Philharmonic Orchestra and the Vienna Court Opera. Mahler, a Bohemian composer, used huge orchestras, the largest for his "Symphony for a Thousand". He also completed nine symphonies and several song-cycles notably "Das Lied von der Erde." Mahler's music was used in the 1971 movie, Death in Venice. You might be surprised to hear what the theme of his Symphony is! Henry Mancini (Enrico Nicola Mancini) lived from 1924 until 1994. He was an Academy Award-winning composer of movies such as Moon River in 1961, Days of Wine and Roses in 1962, Breakfast at Tiffany’s score in 1961, Victor/Victoria score in 1982. He also composed themes for The Pink Panther, Mr. Lucky, Peter Gunn, Charade, NBC Mystery Movie, NBC Nightly News, Love Theme from Romeo & Juliet and received 20 Grammy Awards. Sir Neville Marriner, born in 1924, is a British violinist and conductor. He was born in Lincoln, Lincolnshire, EC England, UK and he studied at the Royal College of Music and the Paris Conservatory. He first played violin with the London Philharmonia and the London Symphony Orchestra, then turned to conducting. He has held posts with the Los Angeles Chamber Orchestra from 1968 until 1977, the Minnesota Orchestra from 1979 until 1986, and the Stuttgart Radio Symphony Orchestra 1984 until 1989. Since 1956 he has been founder-director of the Academy of St Martin-in-the-Fields chamber ensemble. He was knighted in 1985. The Marsalis clan of New Orleans is a large one. Ellis, the head of the family, plays piano, Jason plays drums. Wynton plays trumpet and Branford plays saxophone. Together and individually, this family has done quite a lot to inspire young musicians. Jules Emile Frédéric Massenet lived from 1842 until 1912. He was a composer who was born in Montaud, France. He studied at the Paris Conservatoire, where he was professor from 1878 until 1896. He made his name with the comic opera Don César de Bazan. Other operas followed, including Manon (1884), considered by many to be his masterpiece, Le Cid (1885), and Werther (1892). Among his other works are oratorios, orchestral suites, music for piano, and songs. Sir (James) Paul McCartney was born in 1942. He is a musician, songwriter, and composer who was born in Liverpool, Merseyside, NW England, UK. He was the Beatles' bass guitarist, vocalist, and member of the Lennon-McCartney songwriting team, he made his debut as a soloist with the album McCartney (1970), heralding the break-up of the group. In 1971 he formed the band Wings (disbanded in 1981) with his wife Linda (1942--98). "Mull of Kintyre' (1977) became the biggest-selling UK single (2.5 million). In 1979 he was declared the most successful composer of all time: by 1978 he had written or co-written 43 songs that sold over a million copies each. His Liverpool Oratorio (written in association with Carl Davis) was performed by the Royal Liverpool Philharmonic Orchestra at Liverpool Cathedral in 1991, and he has since continued to develop his interests as a classical composer, notably in Standing Stone (1997). He collaborated with Harrison and Starr in the retrospective Beatles' anthology in 1995. He wrote the books All You Need Is Love (1968) and Paul McCartney In His Own Words (1976), and wrote, produced, and composed the music for a successful animated film, Rupert and the Frog Song in 1984. He won a Grammy Award in 1990 and was inducted into the Rock and Roll Hall of Fame on March 15, 1999. He was knighted in 1997. Marian Turner McPartland was born in Windsor, England in 1920. She is a versatile pianist and jazz musician. She moved to America in 1945 and led a trio from 1951 and founded Halcyon Records. In 1973 she began an adjunct career as the host of jazz radio programs and National Public Radio show - Marian McPartand’s Piano Jazz. Nellie Melba, whose birth name was Helen Porter Mitchell, was an Australian singer born in Melbourne, Australia in 1861. She was taught to sing by mother, educated at Presbyterian Ladies' College, married 1881 and decided to sing professionally. She visited London and Paris in 1886 and debuted in Brussels as Gilda in Verdi's "Rigoletto" in 1887. First diva of the century as Nellie Melba (from her home town), she demanded a pound more than Caruso at his peak for her three-octave voice. Upset that Escoffier named a dessert Peach Melba without paying royalties, she patented her name in the US. For WWI fundraising concerts she was made a Dame Commander of the Order for the British Empire in 1918. Her career took her to London's Covent Garden and New York's Metropolitan opera houses. She gave her name to Melba Toast, Peach Melba and Melba Sauce. Melba died 1931 from and infection following an unsuccesful face lift. Lauritz Lebrecht Hommel Melchior was a tenor who born in Copenhagen, Denmark in 1890. He died in 1973. Beginning as a baritone in 1913, he went on to become arguably the foremost Wagnerian tenor of the century. He sang in Bayreuth from 1924 until 1931 and regularly at the Metropolitan Opera from 1926 until 1950). In the late 1940s and early 1950s he appeared in several Hollywood movies. Melchior was sometimes called 'The Heroic Tenor' or 'The Premier Heldentenor of the 20th Century'. Mendelssohn harmonized the works of other composers, including Johann Crüger. 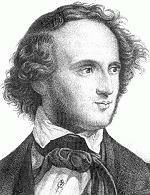 Listen to Mendelssohn's harmonization of Now Thank We All our God. Read information about Mendelssohn's "A Midsummer Night's Dream"
Menotti's "Amahl and the Night Visitors" was the first opera ever written for television and is the most frequently performed opera in the United States. He won a Pulitzer prize for his opera, The Consul, in 1950. More about Menotti's opera "Amahl and the Night Visitors"
Yehudi Menuhin made his violin debut as a child prodigy by appearing with the San Francisco Orchestra at the age of 7 in 1923. He was wearing short pants, which were then fashionable for boys his age. He later became a music statesman by promoting music as a univeral peacemaker and as a means to realize greater global understanding. He was born in New York City in 1916 but became a British citizen in 1985. Olivier (Eugène Prosper Charles) Messiaen lived from 1908 until 1992. He was a composer and organist, born in Avignon, France. He studied at the Paris Conservatoire, where his teachers included Paul Dukas. Giacomo Meyerbeer lived from 1791 until 1864. He was a German Grand opera composer. His most famous works are "Les Huguenots" and "L'Africaine". His Hellish Waltz from Robert du Diable, transcribed by Liszt probably caused more public commotion than any other piano piece in history. Midori (Mi Dori Goto) is a Japanese violin virtuoso who began lessons at age four. Darius Milhaud, 1892 to 1974, was born in the southern French city of Aix-en-Provence. Darius Milhaud was trained at the Paris Conservatoire, originally as a violinist, before turning to composition. He enjoyed a close association with the diplomat-poet Paul Claudel, whom he accompanied to Brazil as secretary, after Claudel's appointment as Minister at the French delegation in Rio de Janeiro. On his return to Paris in 1918, after two years abroad, Milhaud was for a time in the circle of Jean Cocteau and a member of the diverse group of French composers known as Les Six. Extremely prolific as a composer in many genres, Milhaud spent the years of the 1939 war in the United States, where he taught, combining this position with a similar post at the Paris Conservatoire after 1947. Two works in particular have proved attractive additions to repertoire. The first, Saudades do Brasil, a suite for piano, is based on music heard in Brazil during the composer's stay there between 1916 and 1918. Scaramouche, arranged for two pianos from incidental music for Molière's Le Médecin Volant, is a lively jeu d'esprit, in the spirit of the commedia dell'arte character of the title. Darius Milhaud wrote a considerable amount of music for the theatre, operas, ballets and incidental music, as well as film and radio scores. Collaboration with Claudel brought the opera Christophe Colombe and a number of compositions of incidental music for plays ranging from those of Shakespeare to the work of contemporaries such as Brecht, Supervielle, Giraudoux and Anouilh. With Cocteau he wrote the ballets Le Boeuf sur le Toit (The Ox on the Roof) and the jazz La Création du Monde, for the Ballets nègres. These represent only a small fraction of his dramatic work. Milhaud was equally prolific as a composer of orchestral music of all kinds, including twelve symphonies and a variety of concertos, some of which reflect the influence of his native Provence. Milhaud contributed widely also to the repertoire of French song both in choral settings and in songs for solo voice and piano, with texts chosen from a great variety of sources from Rabindranath Tagore and André Gide to the words of Pope John XXIII, the last in a choral symphony Pacem in terris. In addition to eighteen string quartets and useful additions to duo sonata repertoire, not least for viola, an instrument used for the Quatre Visages of 1943, representations in music of four different kinds of girls, Milhaud provided for wind quintet the charming suite La Cheminée du Roi René and the attractive Pastorale of 1935 for oboe, clarinet and bassoon. He shows here, as elsewhere, a characteristically French adroitness in writing for woodwind instruments. 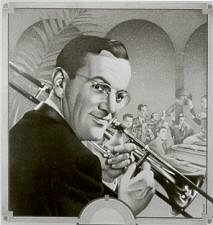 (Alton) Glenn Miller, lived from 1904 until 1944 and was born in Clarinda, Iowa. He was a trombonist who he attended the University of Colorado before joining Ben Pollack's orchestra in Chicago in 1924. He moved to New York in 1928, where he free-lanced for the next nine years as a studio musician and worked as a sideman with a succession of bandleaders, including Red Nichols, the Dorsey Brothers, and Ray Noble. After his first band failed in 1937, he put together a second orchestra in 1938. For the next four years, with hits such as "Moonlight Serenade" and "In the Mood," it was the most successful dance band of the period. In 1942, he joined the U.S. Air Force, for which he organized the Glenn Miller Army Air Force Band to entertain the troops. While stationed in Europe, he died on a flight from England to France in a plane that disappeared over the English Channel. Liza May Minnelli was born in 1946 in Los Angeles, California. She is a singer, dancer, stage and screen actress. Her parents are actress Judy Garland and director Vincente Minnelli and her half-sister is singer-actress Lorna Luft. Minnelli was less than 3 years old when she made her screen debut in In the Good Old Summertime (1949), which co-starred her mother. She became the youngest-ever actress to win a Tony Award, for Flora, the Red Menace (1965), at age nineteen. She is the only singer in history to sell out Carnegie Hall for three weeks straight. Claudio Monteverdi lived from 1567 until 1643 and was considered to be a baroque composer. He was the first great composer of opera. Monteverdi introduced the orchestral prelude, enlarged the orchestra, and improved its role by recognizing instrumental differences. His first opera "Orfeo" was performed in 1607. Robert Moog was born in 1934. He invented the first music synthesizer in 1964. Jelly Roll Morton, born Ferdinand Joseph La Menthe in 1885, was one of the most influential composers of the jazz era, bridging an important gap between ragtime, blues, and jazz. In a sense, he was the first great jazz composer. His career began in New Orleans, where he began to experiment with a unique blend of blues, ragtime, Creole, and Spanish music in bordellows as a piano player. Along with being a musician, he also worked as a gambler, pool shark, vaudeville comedian, and was known for his flamboyant personality and diamond front tooth. Morton became successful when he started making what would be some of the first jazz recordings in 1923 with "the New Orleans Rhythm Kings". Whether he played on the West Coast, New Orleans, or in Chicago, his recordings were always very popular. He joined the group "the Red Hot Peppers" in 1924 and made several classic albums with the Victor label. Nothing but success came to him until 1930, when "Hot Jazz" began to die out, and big bands began to take over. Morton died in 1941, claiming that a voodoo spell was the cause of his demise. Ignaz Moscheles was a Bohemian composer and piano virtuoso. Wolfgang Amadeus Theophilus Mozart lived between 1756 and 1791. He is considered to be a classical composer. Mozart, born in Salzburg, Austria, began composing before most children go to kindergarten. By the time he was six he had played the piano and violin in public. A Wunderkind, a prodigy of the first rank before the age of five, Mozart astounded the musical world with compositions of unsurpassed brilliance. His father Leopold had recognized his talent at the age of three and immediately set out to teach him to play the harpsichord, violin, and organ. Mozart and his sister made their debut in Munich when he was just six and traveled about Europe together, performing at courts and before royalty, always with success. While still a little child Mozart was inventing symphonies, sonatas, and his first opera. Legends abound about how Mozart could hear an entire work in his head and write everything down without making even one change. As a child performer he was often treated as a freak. People would cover his hands as he played the piano, make him compose tunes on the spot and perform all sorts of other musical tricks. In 1787 Mozart became court composer to Joseph II. He played for royalty, received commissions from aristocrats and in his short lifetime composed nearly a thousand masterpieces, including symphonies, operas, serenades, sonatas, concertos, masses, vocal works, and church works. Mozart was a prolific composer writing masterpieces using every form of music, including his operas "The Marriage of Figaro" (based on a play by Pierre Beaumarchais), "Don Giovanni", "Cosi fan tutte" and "The Magic Flute". His mastery of instrumental and vocal forms, from symphony to concerto and opera, was unrivalled in his own time and perhaps in any other. Composing the Requiem Mass commissioned for Count Walsegg, he felt he was writing his own requiem and he died before it was finished. Wolfgang Amadeus Mozart, composer, died in Vienna Austria at the age of 35, penniless, on December 5th, 1791, of malignant typhus. Mozart, the precocious child prodigy, composed several pieces that are deemed central to the classical era. Though he ranked as one of the greatest musical genius, he did not live a life of affluence as none of his compositions earned him a decent commission but the world is forever enriched by such works as Eine Kleine Nachtmusik, the Symphonies No. 38 through 41 and the Coronation Mass. You might be surprised to hear what "Ah Vous Dirais-je Maman" is! Charles Munch was a French composer who lived from 1891 until 1968. He was born in Strasbourg, France. After a long career as a violinist, he made his conducting debut in Paris in 1932 and three years later organized his own orchestra there. He became conductor of the Boston Symphony in 1949 and stayed until 1962. In the latter year he organized the Orchestre de Paris; he died on tour with that group in Virginia. Munch was known for allowing his players room to express themselves, producing warm and musical performances. 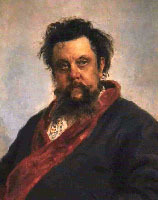 Modest Petrovich Mussorgsky lived from 1839 until 1881. This Russian composer, born in Karevo, Russia, was educated for the army, but resigned his commission in 1858 and began the serious study of music under Balakirev. He is most known for his dramatic opera Boris Godunov, first performed in St Petersburg in 1874. In this opera, he emphasized that speech is made more poignant by the accompanying music. His piano suite Pictures from an Exhibition (1874) has also kept a firm place in the concert repertoire. Other operas and large-scale works remained uncompleted as the composer sank into the chronic alcoholism which hastened his early death. His friend Rimsky-Korsakov undertook the task of musical executor, arranged or completed many of his unfinished works, and rearranged some of the finished ones. Mussorgsky's Night on Bald Mountain was featured in the Walt Disney movie Fantasia. Anne-Sophie Mutter’s remarkable career began at the age of 13 when she appeared as soloist with Herbert von Karajan and the Berlin Philharmonic at the 1977 Salzburg Whitsun Festival. Since then she has been in demand as both a soloist and chamber music partner in major music centers throughout Europe, the Americas and Asia. In 1999 Anne-Sophie Mutter will play Beethoven's Violin Concerto throughout the USA. Afterwards she will tour Europe with a renowned chamber orchestra. The repertoire includes an orchestrated version of Tartini's "Devil's Trill" and Vivaldi's 'The Four Seasons". Recital performances in Asia will follow in the summer Penderecki's Violin Concerto No. 2 will be performed in the autumn of 1999 in major music centers throughout Europe. The Curtis Institute of Music orchestra will be conducted by André Previn. Her long list of honors for recordings includes the Grand Prix du Disque, the Grammy Award in the United States, and Holland's Edison Award. Her most recent releases have been "The Berlin Recital" with pianist Lambert Orkis and live recordings of Brahms' Violin Concerto and Schumann's "Fantasy" with the New York Philharmonic and Kurt Masur. Her recording of Penderecki's Violin Concerto No. 2 with the London Symphony Orchestra conducted by the composer (coupled with Bartok's Violin Sonata No. 2) was released in early 1998. All of Beethoven's sonatas will be recorded live during her worldwide tour and released by the autumn of 1998. An ardent champion of contemporary music, Miss Mutter has given premiere performances of several works written especially for her by composers such as Witold Lutoslawski, Norbert Moret, Krzysztof Penderecki, Wolfgang Rihm and Sebastian Currier. Over the next few years she will participate in premiere performances of works by contemporary composers whom she especially admires. In 1987 Miss Mutter established the Rudolf Eberle Endowment which supports talented young string musicians throughout Europe. This endowment was recently incorporated into the Munich-based Anne-Sophie Mutter Foundation and Friends Circle which share the same objective. Miss Mutter has a strong commitment to social and health problems of our time. She supports work in these fields through regular benefit concerts. The proceeds from one of her three Beethoven evenings in Munich will go to the Christiane-Herzog-Stiftung for sufferers of cystic fibrosis. In the same year she will perform a benefit concert for the German Red Cross with the proceeds going to an orphanage in Romania. In Philadelphia a concert for Temple University's Esther Boyer College of Music will take place. She is a holder of the Order of Merit of the Federal Republic of Germany.